As an employee, how do I view PTO on my mobile device? 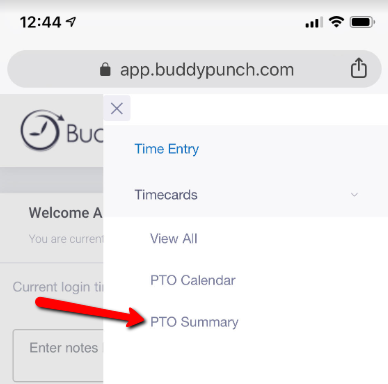 The PTO Summary can only currently be viewed via the web browser on a mobile device. 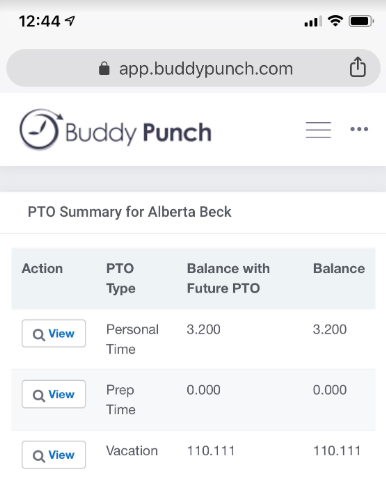 If you'd like to view your PTO summary from your mobile device, you will need to use the web browser. After you're logged into your account, you will want to select the menu located in the top right hand corner and select Timecards. A new dropdown menu will populate and you will want to select PTO Summary. You will then be able to view your different PTO banks, your Balance with Future PTO as well as your current Balance.